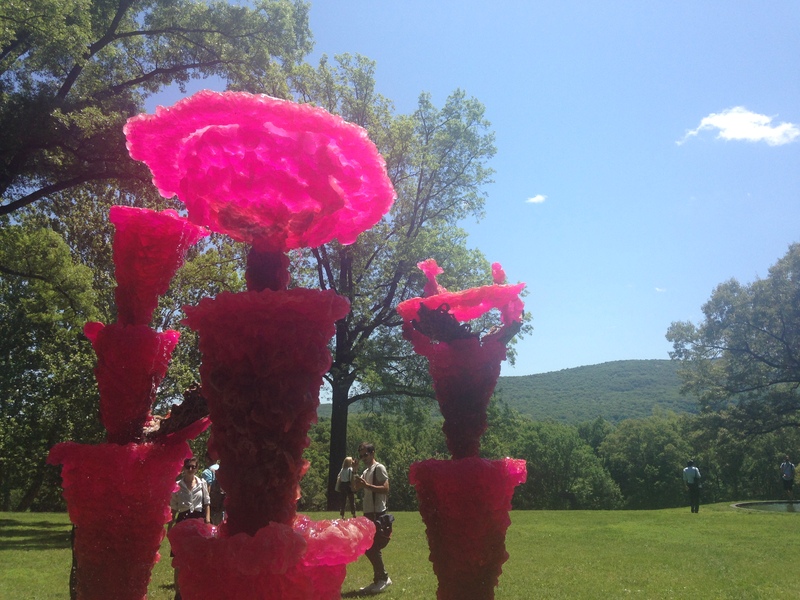 I was recently invited to attend a preview of a new temporary exhibition at Storm King Art Center, an open-air sculpture park in upstate New York. In the Hudson Valley, about an hour north of New York City, Storm King sits on more than 500 acres of rolling hills, fields, and woodlands, and is home to a collection of more than 100 large-scale sculptures by artists including Alexander Calder, Maya Lin, Louise Nevelson, Isamu Noguchi, Claes Oldenburg, and Richard Serra, David Smith. 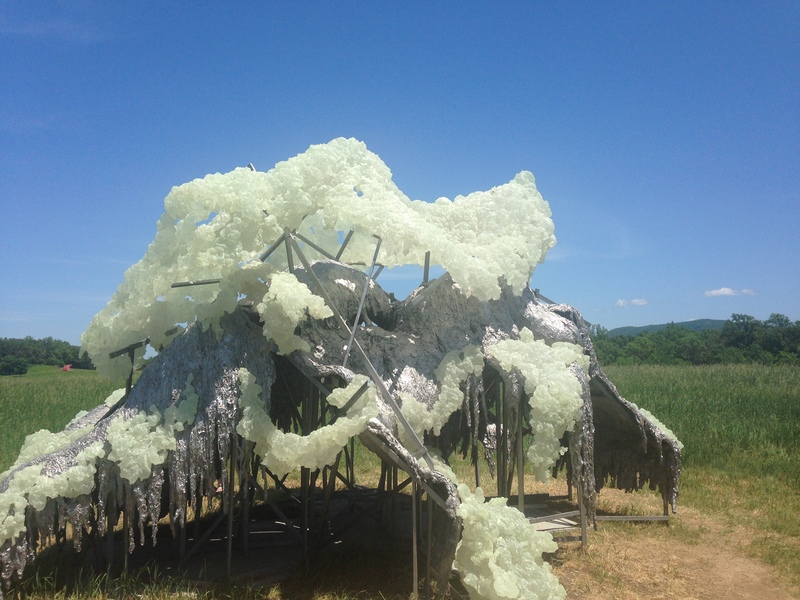 Its two special exhibitions for the summer season are Lynda Benglis: Water Sources and Outlooks: Luke Stettner. 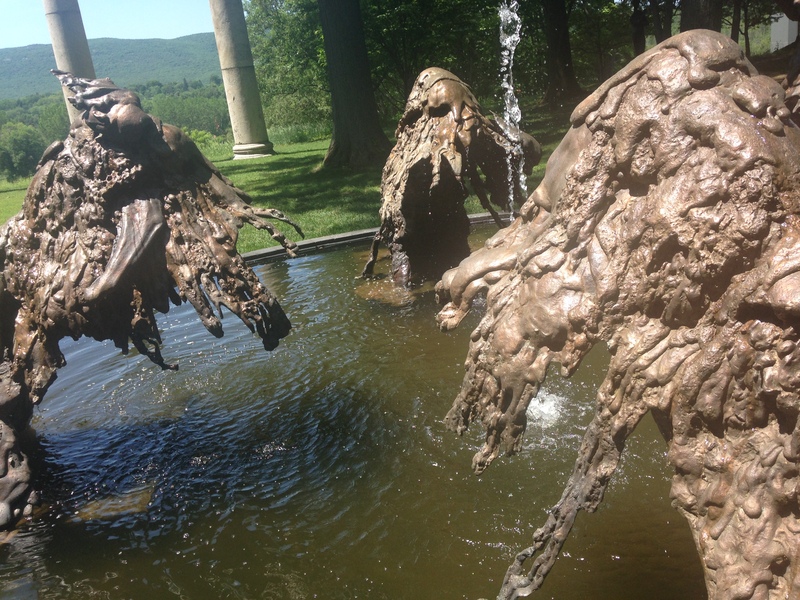 With more than a dozen outdoor sculptures, as well as more inside the museum’s building, it is the first exhibition to display a major grouping of Benglis’s large-scale sculptures and fountains, which she has been producing since the early 1980s. The surroundings of her early life influence her work. Benglis grew up in Louisiana, always around water and a witness to oil spills in bayous. 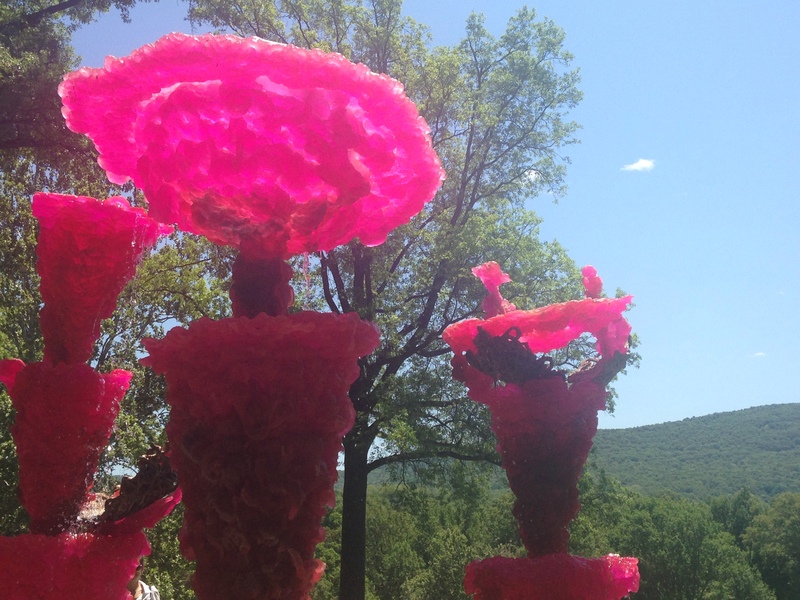 This 2014 piece, named Pink Ladies, is inspired by a kite Benglis saw at a kite-flying festival in Ahmedabad, India. Benglis reminds us that pink is a natural colour, though we may not see it as such. The texture, she says, is inspired by the brain coral she sees on her frequent scuba diving trips. Hills and Clouds, her most recent work, glows after dark. Natural phosphorescence, such as in bioluminescent waters and phosphorescent caves, in another of Benglis’ indfluences. She also cites the glow-in-the-dark displays at funhouses in the South that she visited as a child. 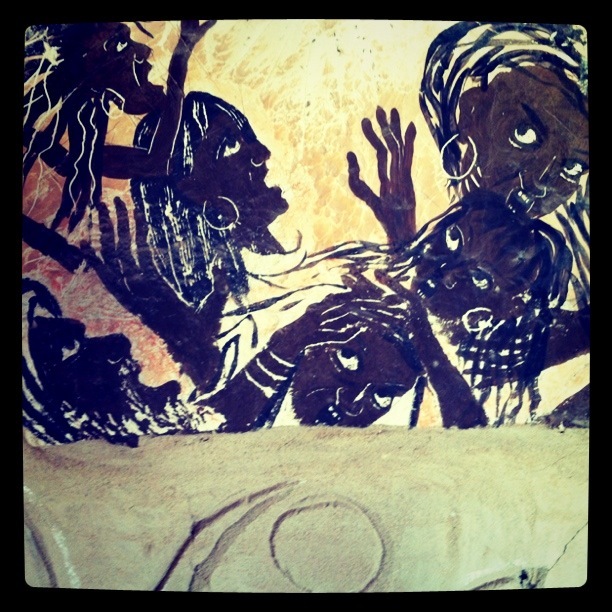 Storm King are offering special evening visits to see this piece glow in the dark. Even without the full effect, in a blazing hot June sun in my case, it is well worth the visit for the rare opportunity to see these pieces. 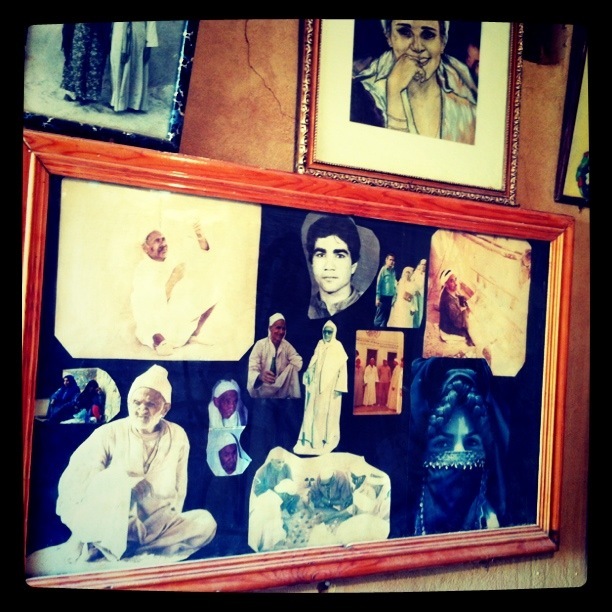 Badr Abd El Moghny. Photo by author. 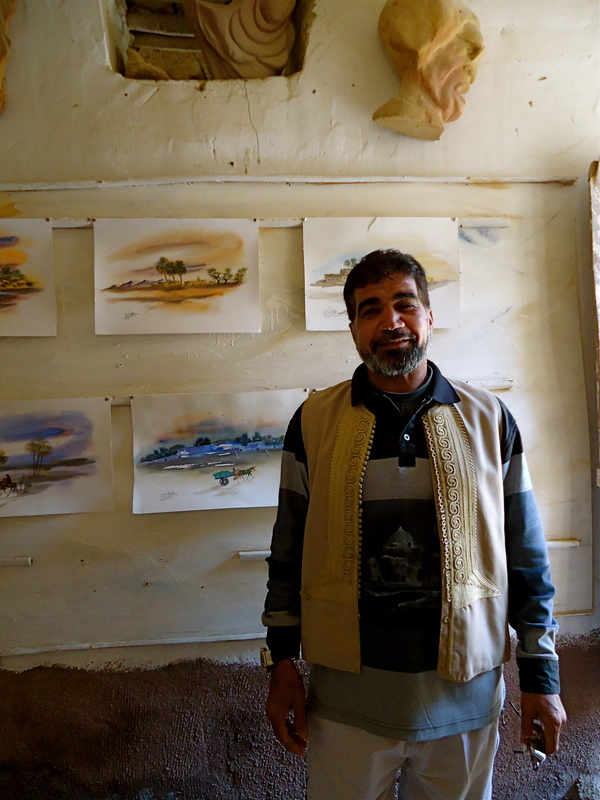 “Everything is becoming really hard.” Badr Abd El Moghny is apologizing for raising the modest entry fee to his mud and sandstone, fairytale-like home and art gallery. Since the revolution and in the midst of uncertainty, he tells us, prices have risen and he has to pay more for the postcards of his work and brochures that detail his biography. 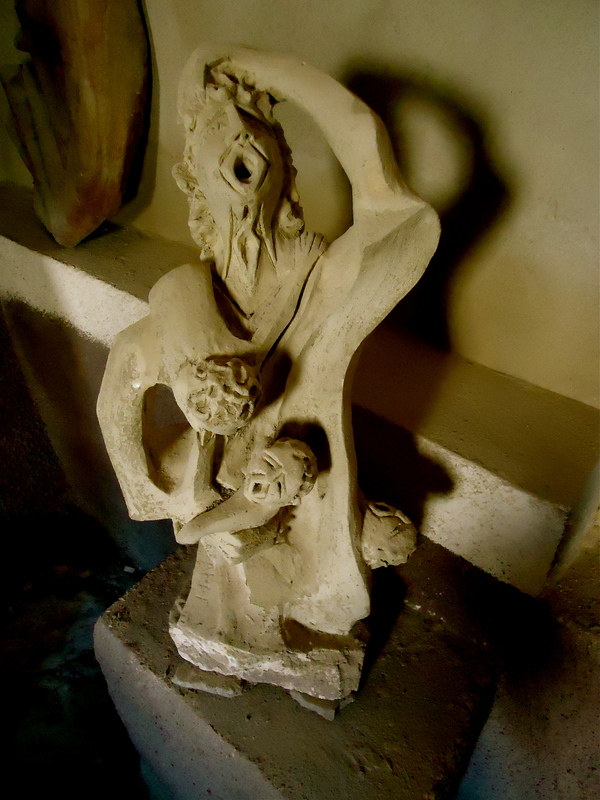 Surrealist paintings and sculptures fill the house, and it is easy to see why he cites Dali and Picasso as inspiration. 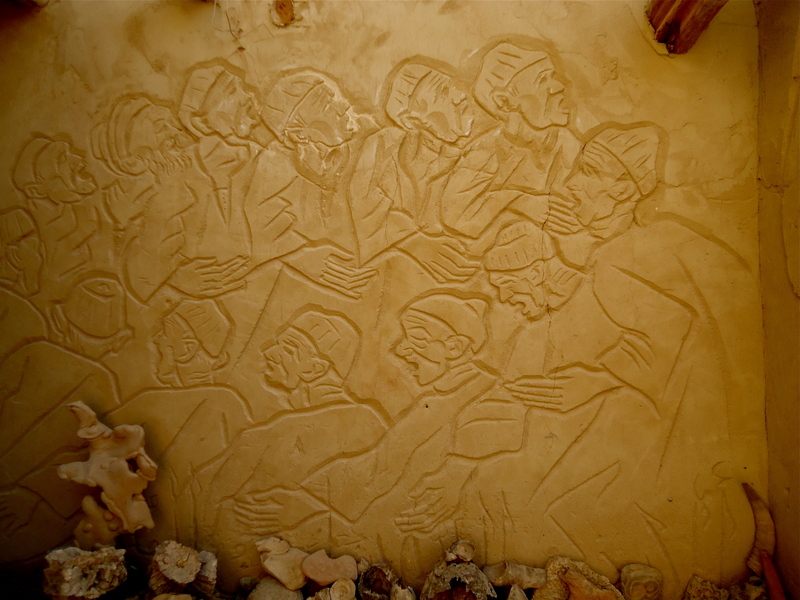 El Moghny has exhibited in England, Germany and Cairo and says he has opportunities to travel more with his work but prefers to stay at home. That way he doesn’t get homesick.